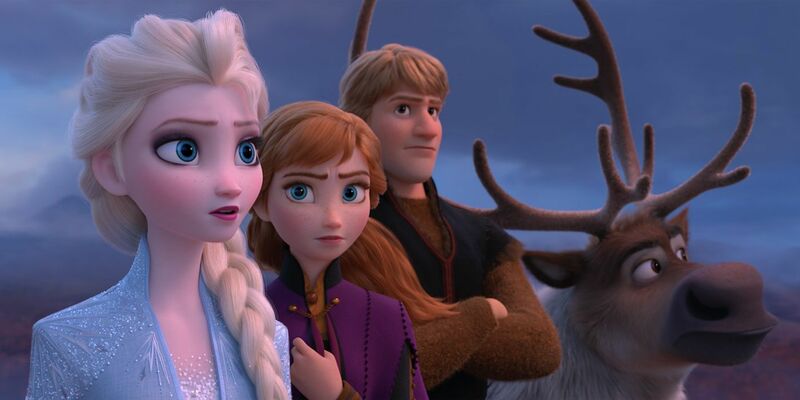 The long-anticipated teaser trailer for Frozen 2 has arrived, and while the animation is as impressive as you would expect, the first look at the Disney sequel doesn't do much more than whet fans' appetites. The dialogue-free teaser spends the first half of its two-minute runtime focused on Elsa as she takes to the ocean in order to (presumably) work on controlling and expanding her powers. From there, we're reintroduced to Anna, Olaf, Sven and Kristoff, who are apparently on a journey beyond the borders of Arrendale. Several new, unnamed characters are briefly seen, and we get a hint of the dangers the friends will face, including what appears to be someone with fire abilities.